Medical centres in Cuba are certified ISO 14001 and ISO 9001. This international status is given to institutions that are recognized to adhere to the British Standard Institution (BSI) regarding medical conduct, hygiene, sanitation, and administration. Cuba is internationally recognized for its medical breakthroughs and advanced treatments. In some particular medical situation, diseases which were once considered to be “incurable” in North America and Europe were effectively treated, thanks to the Cuban medical ingenuity. Our teams of medical professionals, including specialists, Cuba field members, together with Canadian and Caribbean, and Middle East administrative and logistics staff are here to assist you with all aspects of your health visit and treatment. Count on CubaHeal’s ability to handle your medical care need by accessing Cuba’s high-quality healthcare services and connecting you to the globe’s most experienced medical teams. Cuba’s medical facilities are some of the globe’s most advanced centers. At CubaHeal, we are able to access best treatment options to attend to your needs. At CubaHeal, we will make sure your trip planning, treatment and stay in Cuba are STRESS-FREE and Comfortable. Each of our patients is assigned a bilingual field member mandated with attending to all of their personal needs and eliminate all language barriers between our patients and the medical team presiding over the treatment. All Requests are reviewed by a team of Cuban medical experts which will determine suitability, the best and most effective treatment protocol for the patient. Cuba prides itself in offering the highest quality medical care without the long wait plaguing other countries. Treatment in Cuba can begin in as little as three weeks. General surgery, is a surgical medical practice that specializes in abdominal contents, including; stomach, colon, small bowel, colon, liver, esophagus, pancreas, gallbladder and bile ducts, and often the thyroid gland …. Cancer, is a group of more than 100 diseases whereby cell division and growth, is abnormal and uncontrolled. In very simplified terms, normally cells divide, grow and die in a …. Orthopedic Surgical Programs, are branches of surgery concerned with conditions involving the musculoskeletal system. Orthopedic surgeons use both surgical and …. Neurological Restoration Treatment Programs are the branchs of medicine dealing with disorders of the nervous system. 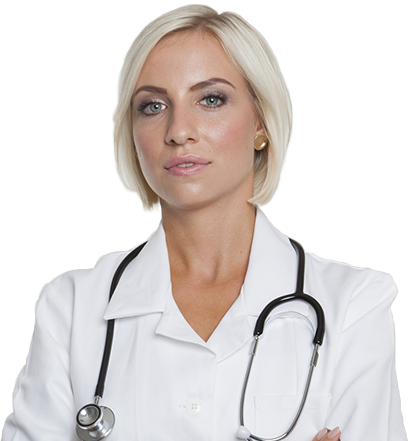 Neurology deals with the diagnosis, analysis and treatment of all classes of conditions …. Read our latest news from the company or general medical news. Feel free to ask questions in comments for any news you find interesting. Thank you CubaHeal, Doctors, Nurses, Staff, Researchers. you have given us hope! My mom, Judy, was diagnosed with Lung Cancer July 15, 2016. It was a devastating blow, one far too many people have to endure. Following surgery on September 30th, to remove the tumor, we learned it was non-small cell lung cancer. Chemotherapy began in late November. Chemo was very ….. Recently I accompanied my sister to Cuba, to seek medical help. We used the services of CubaHeal, which was the best decision we made, From we landed in Havana, we were greeted and treated with such love and respect, we were able to relax, while CubaHeal Representatives took charge of our lives. It felt good to be in a Spanish speaking country, without having to worry about a single thing. I want to thank the entire staff of CubaHeal, for their professionalism in handling our affairs …. As a patient with free health care and many different treatment options available my diabetic ulcer kept growing bigger. I have visited Cuba many many times before and heard and researched a drug called heberprot. Not found anywhere except Cuba. So by chance about 32 month later I found a company called Cubaheal located I markham. I contacted them and after I submitted my documentation history and pictures it took about 2 weeks and I was in Havana on my way to the …. at CubaHeal we offer the best services for our patients, you might visite our website, by searching the term of cuba health care, furthermore this is what most of Canadien people are looking for, but why cuba health care ? first of all, maybe you want to read our last articles, about what makes cuba the best destination, for your medical vacation. and visite the page “why Cubaheal”. CubaHeal Medical is a global organization specialized in facilitating medical treatments, medical education, in addition to patient and student care in the Republic of Cuba. CubaHeal is a loyal supporter of the Republic of Cuba, the Cuban people, the Cuban revolution, and the Cuban revolutionary leadership. Sign up for CUBAHEAL newsletter to receive all the news offers and discounts.